NEW YORK (CelebrityAccess) — Following the death of the band's drummer A.J. 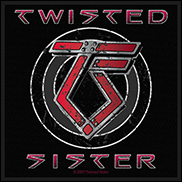 Pero last month, metal band Twisted Sister announced that they would retire from touring in 2016. Until then, the band said they plan to honor all of their current touring commitments and have added Mike Portnoy (Dream Theater, Adrenaline Mob, Winery Dogs) to replace Pero on the drums for all of their shows in 2015. The band also announced that they were planning a pair of tribute shows-one on the east coast and oone on the west coast-in Pero's memory. The first, on May 30th at the Hard Rock Hotel and Casino in Las Vegas, will be filmed for broadcast, DVD, and CD. The second, for the A.J. Pero family, is scheduled on Saturday, June 13 at The Starland Ballroom in Sayreville, NJ.